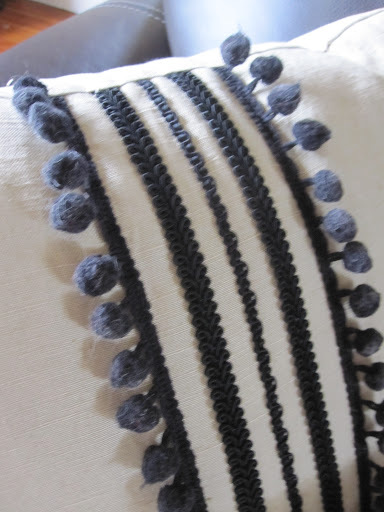 Sometime I make stuff for the house too – there is no way I will pay retail pricing for the stuff I see in the shops. 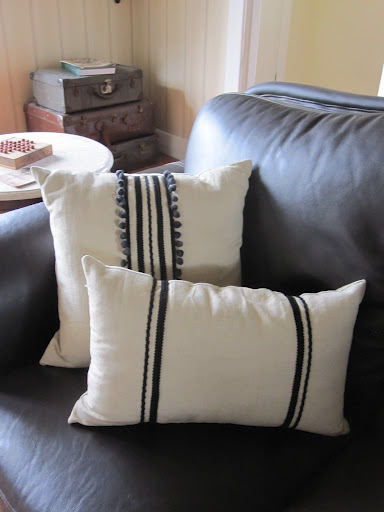 I made these pretty cushions using linen from my stash and trim I bought on a recent trip to Paris. 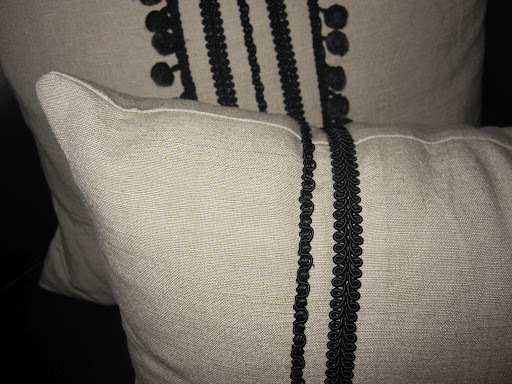 I love the pompoms – so cute. As you can see they work really well with my decor. I am super happy with them. Is anyone else working on something to pretty up their home? I am working on a couple of items of clothing soon, pics soon!